Claire Fullerton is a runner up in the WOW! Women on Writing Fall Flash Fiction Contest with the very beautiful story Metal Gray. She is the author of contemporary fiction, Dancing to an Irish Reel, set on the west coast of Ireland, and paranormal mystery, in two time frames, A Portal in Time, set in Carmel-by-the-Sea, California. Both books published by Vinspire Publishing. Claireâ€™s third novel, Mourning Dove, is a Southern Family saga, set in Memphis, Tennessee, where Claire grew up. It will be published in June of 2018 by Firefly Southern Fiction. Claire has been published in multiple magazines, including Celtic Life International, Southern Writers Magazine, and The Dead Mule School of Southern Literature. Her essays have appeared in five of the Chicken Soup for the Soul books. Currently, Claire is writing her fourth novel. 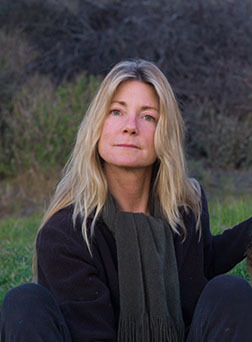 She lives in Malibu, California with her husband, two German shepherds, and one black cat. Find out more about Claire by visiting her website www.clairefullerton.com, her blog, Writing Notes, and connect with her on Facebook and Twitter @cfullerton3. WOW! : Thank you so much for taking time out of your busy schedule for today’s interview. Congratulations again on your many accomplishments but most recently as a runner up in the WOW! Fall Flash Fiction Contest! So now down to business: where did you get the idea for the character of Ella in Metal Gray? You describe her so well it seems she must be part of your personal story as well? Please tell us more. CLAIRE: I would love to tell you about Ella, thank you for asking. Ella is a significant character in my forthcoming novel, Mourning Dove, which is a southern family saga, set in Memphis, where I grew up. The book will be published by Firefly Southern Fiction in June of 2018. The background of Ella and this book is that I entered a 3,000 word piece in The 2013, San Francisco Writer’s Conferences’ contest, in the narrative nonfiction category. The piece came in as the runner up, and I will tell you now that when I entered the piece, it occurred to me that should anything in the slightest happen, I’d turn the piece into a novel, which I did. To clarify the obvious, a novel, of course, is fiction, yet I knew with my nonfiction piece that there was an entire world already there to work with, as long as I changed names, created scenes and other characters that contributed to the momentum of the story. I can report that Mourning Dove is fiction, but that the character of Ella as she appears in the book as well as in the flash-fiction piece I sent to WOW! is a composite of many women who populated my life while growing up in Memphis. Ella represents the voice of brass tacks reason, wherever she appears, in that she sees all, knows all, and keeps her lips tight. Ella is in it, but not of it, which provides fabulous objectivity. What I did when I entered WOW!’s flash fiction contest was give the description of Ella, then made up the ending to fit the 750 word guidelines, which means it needed to be unique, self-contained, and brief! WOW! : So clearly, you are no stranger to Ella and no stranger to writing contests. What role do flash fiction pieces play in your writing life? Do you have advice for other authors as far as contests and flash fiction pieces are concerned? CLAIRE: Yes, I love entering flash fiction contests, for it is a way of fine-tuning one’s craft. The art of brevity should be in each writer’s tool-kit, and I was thrilled when I discovered WOW!’s contest. To answer your question about advice I’d give to any author, I’d say getting in the traffic and staying in the traffic is very important. I’ll give you a personal example: Vinspire Publishing honored me and basically started my career by publishing my first two books back-to-back. My third novel, Mourning Dove, will not be out until 2018, so I have a gap, with regard to staying engaged with my readership. By entering contests, and hopefully placing somewhere, it gives me the opportunity to share my work as it is published. This, along with staying engaged with social media is the life-force of an author’s career. It also gives authors the opportunity to meet nice people like Crystal with WOW! WOW! : Now I’m blushing – thank you so much! It certainly is sound advice about staying in the traffic. Wally Lamb is one of my favorite authors and I didn’t realize he had released a new book because he had such a gap and even though I’m an avid reader, he really fell off my map. I hope other authors take your advice and stay in the traffic (not to be confused with playing in traffic…giggle). Can you give us an example of when that wasn’t such a great idea or when it served you well? CLAIRE: I think it has always served me well, and I’ll tell you why by answering this generally: I prefer writing in the first person. I think it lends immediate intimacy, and gives the reader the complete idea of who it is they’re listening to. I say I am a stream of consciousness writer because writing comes to me easily. I write the story from the voice within me, and very rarely labor. I think if a writer decides who the narrator is, with whatever nuances or backstory they may have, then they can assume the narrator’s voice, and write from there. Before I begin a novel, I know the story I want to tell. I know the beginning, middle and end, and let the rest create itself, though I do take notes along the way, when something comes to me that I think I should include, in order to drive the story forward by illustrating a point, or perhaps it is something wittily said that will lend flavor and help the reader better understand the narrator or other characters. Summarily, I think that, when writing, it is best to trust one’s own thoughts. I’d rather risk writing from an authentic place and having it misunderstood, than constructing something inauthentic only to realize it sounded contrived. This is a quote to remember fellow writers. Thank you Claire for sharing this insight and truth. what part you played in making that happen? What advice can you give to other authors as far as getting their books into more libraries (in the states or outside the states)? 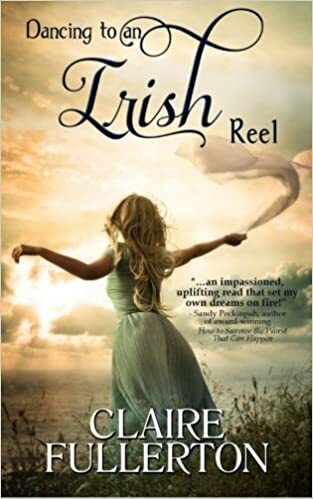 CLAIRE: I give full credit to the unlimited creativity and enthusiasm of Dancing to an Irish Reel’s publisher, Dawn Carrington of Vinspire Publishing. Dawn was well aware that I once lived in Ireland, and that Dancing to an Irish Reel is set on Ireland’s west coast. She wrote to many Irish library’s and simply introduced the book: it’s blurb, its cover, and much about me as its author. She embraced this book and got it out in the world, as she educated me on exactly how to be involved in the promotional process. I have learned that the promotional process is unending, and to me, it is actually fun. The process starts out in a small arena, by aligning with the obvious social media outlets ( FB, LinkedIn, Twitter, Instagram, Goodreads, etc.) but the thing is, once you’re aligned, it gets bigger! You end up meeting other authors through social media and by watching where they are and what they do, it triggers unending possibilities. I can tell you that after two novels that have been out in the world for a while, I am still discovering new places to promote because it is essentially a domino effect. But yes, library’s are a great avenue to explore, so I recommend that authors start locally, then get creative on the locations of libraries that may embrace the book, due to the book’s setting or subject matter. WOW! : It’s nice to meet up with others who enjoy social media networking and all the endless possibilities! CLAIRE: Great question. I assume you saw the Word Press blog post I delicately wrote and hesitantly posted on this subject! I was torn over whether to post the piece or not! The impetus behind this came from too many months of vitriolic posts on Facebook during America’s recent presidential election. So many friends I’d been aligned with for years used Facebook as a forum to post their political views, and many of these friends are authors. I spoke to one author friend who was dismayed because one of her readers had taken her to task on something she posted concerning the election, and had declared she would unfollow her. I have pledged to never comment politically because I think it is polarizing. This isn’t to say that there is anything wrong with someone who chooses to do so, it’s just that many are so heated over the issues that a difference of political opinion can have unintended consequences for an author. I adore meeting readers and other authors via social media, but am clear why it is that they’re my friends, and what it is that brought us together. My overarching respect for books, authors, and readers makes it easy for me to leave politics alone. WOW: That’s a good way to look at it – it’s out of respect! I love that! Thanks so much for chatting with us today, Claire! Congratulations again on Metal Gray and best wishes to you all your future projects! Today I have Claire Fullerton on my blog. Her book is set in Galway, Ireland, the place my grandparents were born, so I am thrilled to have her here talking about her book. Hello Claire. What book are you promoting right now? The idea for the novel came from the year I spent living and working in Galway, Ireland. It was an incredibly pivotal and eye-opening year for me, as I lived as an outsider in rural Ireland, and everything was new and fascinating. I took much of this story from true events and based some of the characters on people I met and worked alongside. The story is fiction, but set in the area where I actually lived. I have now written three novels, and my process has been the same throughout all of them. I treat the project as a full-time job, which means I am at my desk, coffee in hand, first thing in the morning and typically stop around four in the afternoon, but I do take breaks. What fuels my writing is having the complete story in hand and the motivation to craft it as a continuing project until the first draft is finished. Then I set the draft aside for a couple of days, and go back through it line-by-line with a fresh perspective. I typically go through my manuscript five or six times, and have found the trick to be retaining an overview of what is on every page. I like to be as familiar with the manuscript as if it were a one thousand word essay because this lends to continuity with an eye towards the ebb and flow of the entire story. I’m so glad you used the word scene, because this is literally how I write my books. I see the entire anatomy of a scene in my mind’s eye and write it as if it stands alone. My favorite scene in “Dancing to an Irish Reel” begins when the narrator, Hailey Crossan, goes with the Irish musician, Liam Hennessey, to a pub in Clifden, which is a village fifty miles away from where she lives in Inverin. It is a long drive through the breath-taking, but desolate region of Connemara, where there is nothing but uninterrupted bog land forever, until the moment Clifden comes into view. Liam Hennessey is a guest musician on this particular night, so Hailey stands amidst the audience, well aware of the captivating, salt of the earth locals around her, and finds herself engaged in a series of memorable conversations, which could only happen to a stranger in a strange land. I went out of my way to describe what it feels like to be in an Irish music venue, where everybody seems to know each other, and I gave life to the musician Liam Hennessey’s art as he played in a trio to an adoring audience. Tell us about your main character? What makes her so special? Hailey Crossan is a twenty-five year old American who takes a sabbatical from her job in the Los Angeles record business and takes a trip to the west of Ireland, where she is unexpectedly offered a job in the music business that is too good to refuse. I wrote “Dancing to an Irish Reel” in the first person, so it is Hailey’s voice the reader hears as she tells about her surroundings and the people in it. Hailey is confident, insightful, adventurous and able to hold her own in unusual circumstances. She realizes she must acclimate to the social and cultural nuances of rural Ireland, and canny enough to go with the flow as she navigates the region. What is so special about Hailey is she sees clearly when she meets Liam Hennessey, who is a regionally famous musician who has never been in love. So unbalanced is Liam at the prospect of love that he can’t decide if he should come closer or run away. Hailey suspects his confusion may have something to do with the inherent culture clash between them, but she remains open-minded, even subtly amused throughout a dynamic that plays itself out like the push and pull of love’s ambiguity. Such a good question, and o ne I am enthusiastic to answer: I wanted to write a story about a dynamic I think happens to everyone at one time or another. It involves the initial stages of attraction, when two people meet and are clearly interested in each other, but unable to fully understand one another. There is always such hope and excitement in the initial stages of love, but there is also uncertainty, doubt and, often times, confusion. It is during such straits when one turns to their friends and says, “He’s saying this, but acting otherwise; what in the world is going on?” I love the subject of what really goes on behind the scenes, so I gave the reader Hailey’s thoughts as she is coming to know Liam Hennessey. What I want the reader to take away from “Dancing to an Irish Reel” is that love rarely has a smooth course. My intention was to write a book that is true to life. What do you read? What are your favourite books and who are your favourite authors? I am a fan of the well written, first person story. I find this easier to connect with the author than any other point of view, so I favor reading and writing in the first person. The authors I admire are Pat Conroy, Ann Rivers Siddons, and Donna Tartt; all have mastered this craft. Pat Conroy’s “The Prince of Tides” is my favorite book of all times, and is an American classic by quite possibly the greatest Southern writer living today. I like to read the masters of fiction because it informs my process. I am not a genre reader beyond fiction, and when I read fiction, I want to learn something significant about language and craft. Do you have any advice for someone starting out as a writer? The first stage is writing your book, however it is that you do that. Worry about everything else after you are satisfied that you have your best effort put forth. Next, get the book “The Writer’s Market” and familiarize yourself with the publishing world. From here, you can decide to submit to a traditional publisher, look for an agent, or self-publish. Be realistic in what you are prepared to do with regard to the work behind promoting your book. I don’t know about self-publishing because I’ve never done it, but if this is what you decide to do, align yourself with people who know the score. I am thrilled to report that Vinspire Publishing has taught me everything I now know about marketing and promotion. Before I signed with them, I hadn’t a clue what was expected of me in order to get the word out that my books exist! Vinspire has done much for me, but in this day and age, it seriously falls to the author to be everywhere on social media. I spend a lot of time connecting with other authors, ferreting out book blog sites, promoting other authors, posting on Twitter, Facebook, and everywhere that will have me. I also repeatedly hold book signings because I believe in the merits of showing up in person! How do you get book reviews? Has this been successful? Before my books came out, I sent an advance copy to three authors with noteworthy careers and asked them for a review with the understanding that a ‘blurb” from their review would appear on the back cover of my book. If you look towards doing this far enough in advance, it is advantageous. All other reviews have come to me organically, but there have been times when a reader posted on my author Facebook page reporting they’d liked my book, and I’ve come right out and politely asked for them to post a review! Who or what encouraged (or still encourages) you in your writing? I am encouraged by brilliant writers. I am inspired by those who have literally mastered the art of writing a novel. It isn’t easy to do, but writers learn from reading other writers; many are way-showers with regard to the written word’s possibilities, and I think it is imperative for a writer to be a perpetual student. I never compare myself to other writers, but I do applaud those who do it well. It was from reading good writers that I said to myself, long ago, “This is what I want to be able to do.” So it is a constant state of becoming and a willingness to stay the course, but the aim should be to continue to grow as a writer. This is why I continuously read. Yes, I am the kind of writer who loves to help other writers! I will answer anything that anyone would like to ask. I think writers can and should rub shoulders with other writers. We’re all on the same path; some ahead, some behind, so none of us should be hesitant to ask for directions! Thank you so much, Claire, what a great interview. I love your insights into living in rural Ireland and your thoughtfulness around the first stages of attraction. Thank you to Susan M. Toy! What is your latest release and what genre is it?Dancing to an Irish Reel is contemporary fiction set on the western coast of Ireland. Quick description: Hailey Crossan is an American who leaves the record business in Los Angeles and takes a trip to the western coast of Ireland, where she is offered a job at The Galway Music Centre that is too good to turn down, so she stays! It is a story of discovery that sings the praises of the Irish cultural nuances from Hailey’s first person perspective and is also a story of the ambiguity (and often times confusion) of new love, for she meets an Irish traditional musician who is so unbalanced at the prospect of love with an outsider that he won’t come closer nor completely go away.